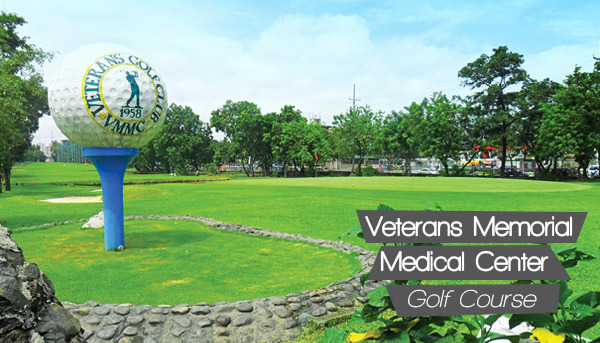 Situated in the busy city of Quezon and 10 kilometres away from the business district of Makati City, the Veterans Memorial Medical Center is not only famous from the patients who were admitted there, but also for its vast golf course inside the VMMC compound, the Veterans Golf Course. The 5, 815 yard golf course which is comparatively short at par 72 is positioned in the heart of Quezon City, is also known for its trickiness due to its portraiture of tight fairways, accentuated dog-legs, and man made hazards such as bunkers and water hazards. In its many of the tight fairways, numerous Molave trees are lined up. Small greens also makes the game challenging. One interesting part of the course and probably its signature hole was the hole number 7. It is challenging that the island green is surrounded by a water hazard. The hole being short at par 4, a golfer should have a perfect tee shot to reach the green to unnecessarily stay on it. In addition to the challenge of this hole that fails many golfers, is that there are bunkers and an OB line behind this challenging island green. Aside from the golf course of the Veterans Golf Course itself, there are other amenities that accommodates other golfers’ needs, such as a clubhouse restaurant and a halfway house restaurant to refresh the players after a perspiring game; VIP room, function room, and boardroom to accommodate business meetings or any gatherings of the players; the utilities such as the locker/shower room, motor pool, caddy/umbrella holding station, male caddy house, awarding stage,driving range, driving range canteen, driving range pro shop, tennis court, high end coffee shop and spa & executive barber shop. These are all to accommodate players’ comfort and leisure. 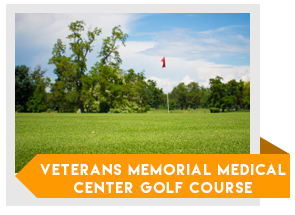 Since the course is situated in the heart of Quezon City, accommodations and tourist attractions are very accessible and as well as getting there is very easy, as most of the major thoroughfares in Metro Manila will lead or pass through the Veterans Golf Course itself.